SEO is the acronym for Search Engine Optimization. 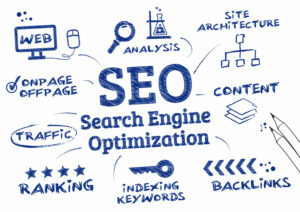 Search Engine Optimization involves picking the right words or keywords and using them on your website. When done right, it increases your chances of showing up in the search engine results for the terms that your customers are looking for. 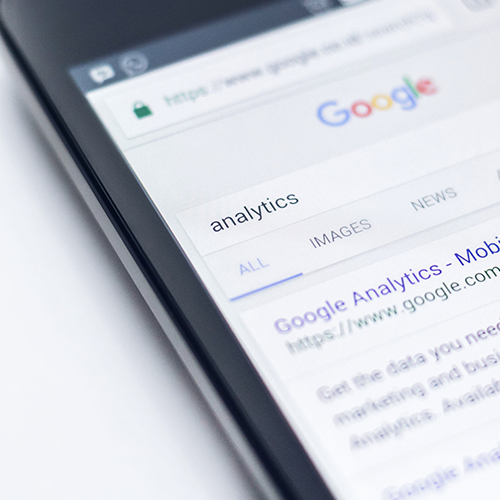 When we think of SEO, we usually think of Google, since they have over 60% of search engine share in Canada, but it is also worth considering Bing (who has about a 1/3 share). Content: Content is key for SEO. It looks at the theme, the text, the titles and descriptions on the page; as well as how new it is. Performance: Speed of your site and its performance matters. Authority: Authority refers to the quantity and quality of content you have available, and whether other sites link to yours. User Experience: How does the site work? Is it mobile-friendly? A page with a high bounce rate can sometimes indicate user experience problems. Search engines keep an eye out for keyword stuffing (overuse of keywords on a page), repeated or plagiarized content, and purchased links. Over time, your website will get penalized for these items. Placing appropriate keywords in your titles, content, URLs, and image names is important. Think about your keywords as search terms: what terms will you look for to get your topic? Be strategic, but also be reasonable: ridiculous numbers of keywords on your site will make your site be considered spam and hurt your results. We can help you assess which keywords to focus on. The page title and meta description are very important, as they are displayed to users in the search results. Think of your title as a four to eight word ad that should entice the reader to click to learn more. Since search engines also consider these in their results, keep your keywords in mind when writing a new blog post or page. While meta descriptions are mostly ignored by search engines, they should be unique and speak to that specific page. Users see these! In order for a search engine to “read” an image, you need to provide an alternative text description. Search engines will bring these images up in image searches and they will help your page rank for those keywords in a traditional search. This description is also used by screen readers, so it is especially relevant for accessibility! Each page of a site has a main headline, referred to as an H1. The H1 title contains terms that show up in search results. A best practice is to use your H1 to reinforce keywords. For a local hairdresser, we might write “Voted best hairdresser in Waterloo three years in a row” as heading 1 on their main page to reinforce “hairdresser” and “waterloo”. Domain names are very important for ranking your pages in a search. We recommend sub-directory root domains (example.com/blogs) over sub-domains (blog.example.com) to make it easier for tracking and for consistency. Consistency (www.example.com and example.com should redirect to the same place) also helps in link building. Having keywords that you’re tracking in your domain names will only help your overall efforts. The most important thing to remember with SEO is that you are trying to help people searching for relevant terms find your website. Trying to trick the system will get you in trouble. SEO done correctly can boost your website’s traffic and visibility, and lead to more customers, especially when it is paired with quality content. Chat with us to learn more!